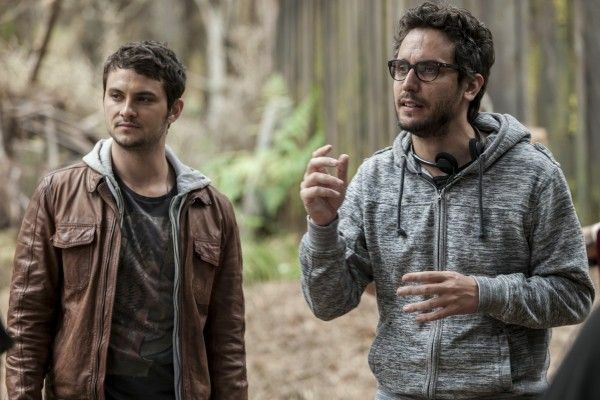 Even though a sequel to Fede Alvarez‘ Evil Dead remake is in the works, Alvarez isn’t attached to direct. Instead, he’s turning his attention to a science fiction project entitled Machina. According to THR, details on the film are being kept under wraps, but Alvarez will be re-teaming with his writing partner, Rodo Sayagues. Alvarez’s short film Panic Attack! brought him to the attention of original Evil Dead director Sam Raimi, which got the South American director the gig for the remake. Visually, Alvarez delivered some truly shocking moments, so he has the ability to leave an impression on his audience. It’s worth noting that Panic Attack is about giant robots and spaceships attacking Montevideo, Paraguay, so he does already have a slight sci-fi bent, although the short is more in the disaster genre. Hit the jump to check it out.